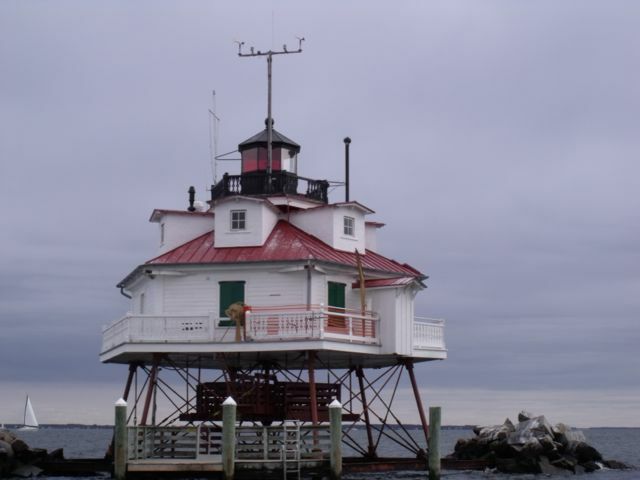 Workday: Thomas Point Lighthouse Oct 24, 2015 – Chesapeake Chapter U.S.L.H.S. There is still a lot work to be done as the lighthouse preservation season winds down. There is never a shortage of work! 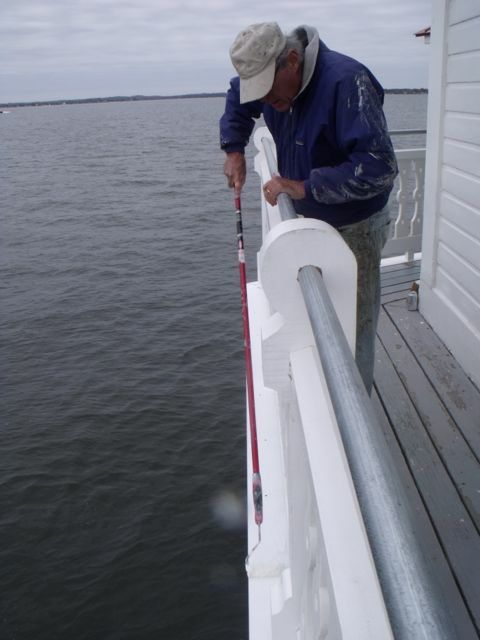 Ten volunteers spent a beautiful Fall day out on the bay doing some tasks to cap off a productive year. There were a couple of first time volunteers who lent a hand. As usual, there was a lot of painting required. 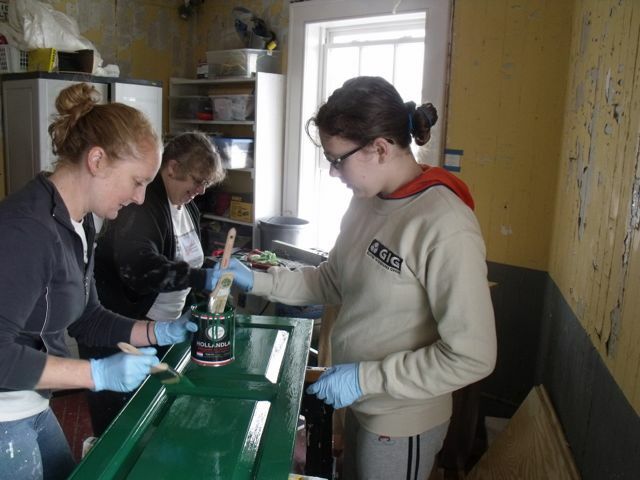 Several volunteers worked on sanding and painting some of the baseboards and shutters. Some of the now famous pickets were painted along with some of the siding. It was not all painting though – the floor of the room you first enter was sanded and varnished.The workroom was cleaned and some shelves were built for the work closet. This will help keep the place organized and tidy. 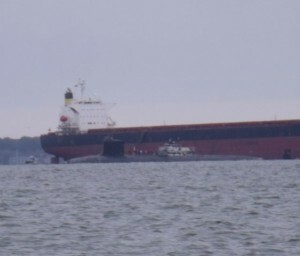 The deck was given a good scrubbing. 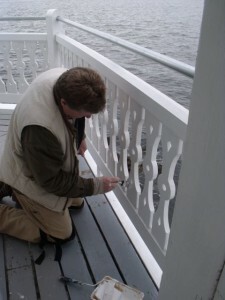 There was also a bit of brass cleaning as the air vents in the lantern room were polished. A window frame board that Karl Talbott fabricated on Friday was also installed. During the next work day there are plans to put the shutters back up. 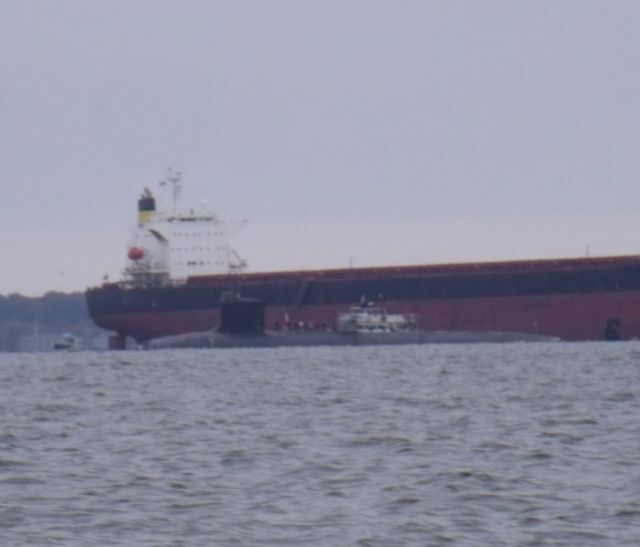 Volunteers were treated to a ring-side seat of a sailboat race and on the way home they spotted a site you don’t normally see – a submarine alongside of a frieghter. There are only a couple of workdays left before the season officially ends and the light is buttoned up for the winter. If you’d like to help out and spend some quality time on Thomas Point Shoals Lighthouse, check out the calendar and join volunteers for the next workday in November. 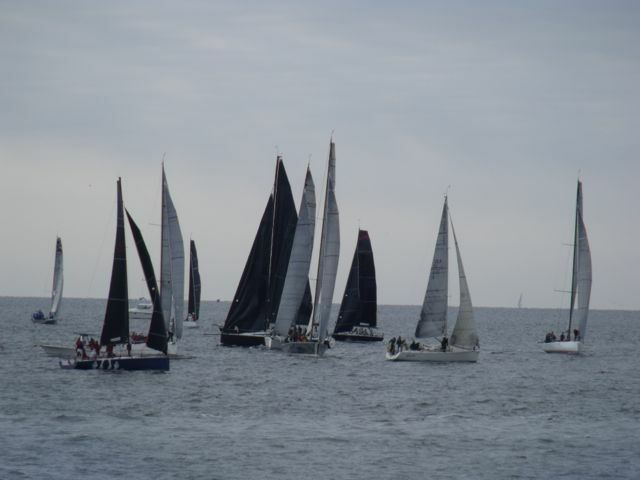 It was obviously a good sailing day! 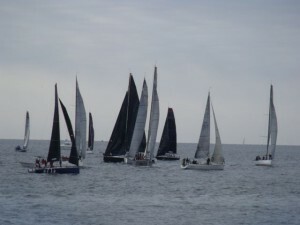 Sailboats participating in a race near the light.